MG Midget and Austin Healey Sprite front anti-roll bar. The PME anti-roll bars are designed to help control the transfer of weight under cornering and are developed to offer a direct replacement for the standard component. The larger the diameter the stiffer the car will be come, meaning weight transfer is slower. 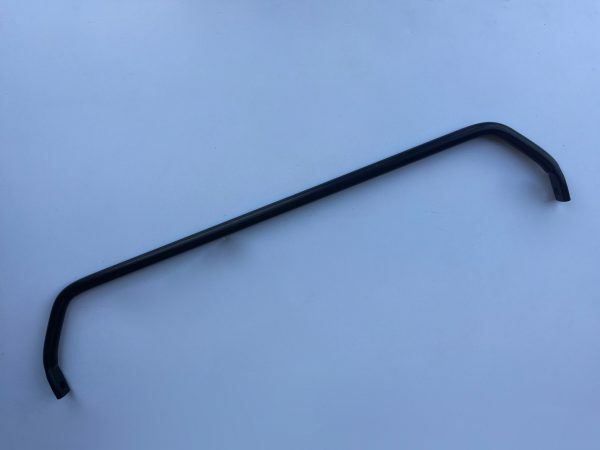 Our 3/4″ anti-roll bar are designed specifically for competition use with more modified cars. We carry full stocks of all fittings for the larger roll bars including bushes and clamps.